It’s time for Drinking Water Fountains to take you on a historical timeline. Ever wondered where drinking fountains derived from or how they emerged? Well, let us enlighten you. 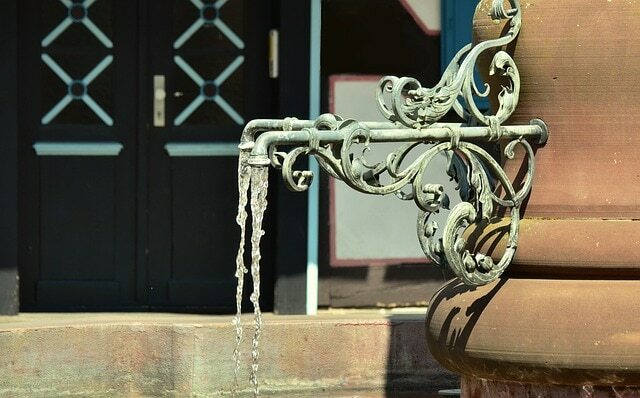 It is believed that an early example of a water fountain dates back to around 3000 BC. This water fountain was found in Mesopotamia. The drinking water fountain consisted of basins which made use of the natural spring water. This system was originally founded in Greek and Roman times. Mechanically operated water fountains only became familiar during the 15th century in Italy. In the year 1895, thousands of people gathered around to view the opening of London’s first drinking water. Many would gather around the water fountain and drink water out a metal cup. The metal cup was attached to the water fountain. At this point, there was a great urgency for water fountains. The New York Times advocated installation of these water dispensers. A few months after London had their first water fountain, New York was not too far behind. Over the years, people realised that it might not be too healthy to share drinking cups from the water portals. It was then decided that various changes to water fountains were made. This was also to ensure no contamination or impurities were formed. Water fountains then contained water sprouts and slanted jets. Many years later – bottled water was created. We hope we did not bore you on the above facts! It is clear that water is essential and hydration is important. To ensure that your environment has easily accessible drinking water, contact Drinking Water Fountains today. We have a wide range of environmentally friendly water dispensers. We can assure you that we have the perfect one for you. Whether you need a fountain for inside or outside, we have you covered. You can choose between floor standing or wall mounted fountains as well as indoor or outdoor bottle filling stations. We offer quality drinking water fountain to ensure they withstand any type of environment pressures. Our water fountains include sanitation process to ensure all impurities are removed. We have friendly specialists who will gladly answer any questions or queries you may have regarding water fountains. We aim to provide our customers with effective and efficient services. If you are interested in our indoor or outdoor drinking water fountains or any of our other water products, please do not hesitate to contact us on 0845 500 4455. Alternatively, you are more than welcome to chat to us via our live chat on our website with your queries or requests. One of our friendly staff members will gladly assist you. We are looking forward to hearing from you.